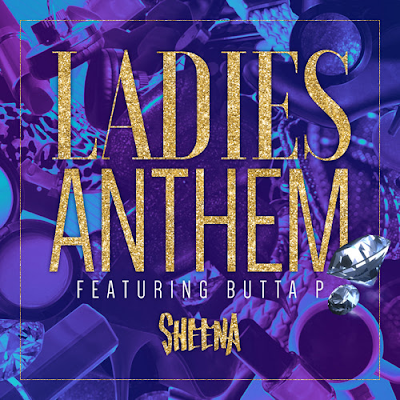 New single from forthcoming album Sheena due out September 4, 2015. "Ladies Anthem" features a guest spot from Butta P (Rhema Soul) and production by Raynard "DJX-RAY" James. Sheena shares that, "Ladies Anthem" was created to give a voice to those ladies who feel too afraid to speak up. My prayer is that this song will inspire, empower and motivates you to move forward from any circumstance/past situation where you have felt defeated or ashamed. I pray you receive the strength and courage that only come from Jesus Christ. He wants us to view ourselves the way He sees us, knowing our full worth and value in Him. To someone else you may be a second option, but to God you will always be His first. I made a choice to move past my circumstance and took a stand against fear. I want you to make that same choice and stand with me. It takes a lot of courage, but there is nothing to big for God. He can take what was meant for evil and turn it into good. "I can't be quiet anymore / there's too much that we're fighting for / and we can choose to use our voice / because we have a choice. We are more than conquerors! Don't allow fear to cripple you to the point, where you can no longer stand. [Joshua 1:9]"
Pre-Order the album Sheena via iTunes.